Description: Kenitra Penitentiary. 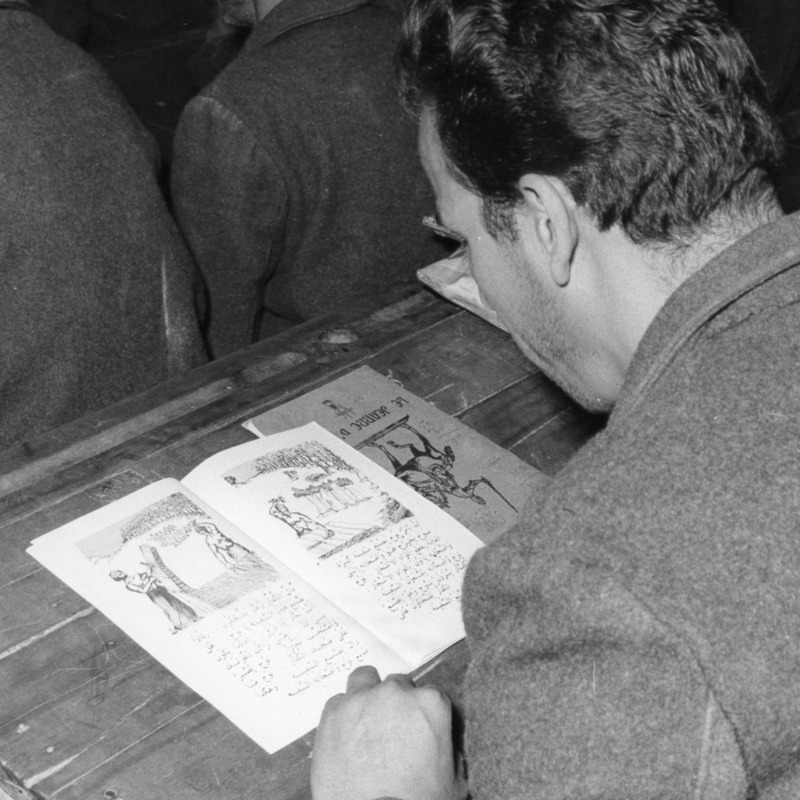 A literacy course organised for the prisoners. View of a man reading.